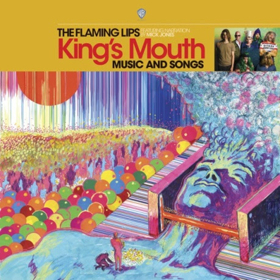 The Flaming Lips : King’s Mouth album download | Has it Leaked? The Flaming Lips' frontman, Wayne Coyne, announced on his Instagram page on Monday (December 4) that their new album, ‘King’s Mouth’, will be narrated by Mick Jones. “…ok.. so… our King’s Mouth album that will be coming out on @recordstoredayus in April has Mick Jones on it,” he wrote.